Medical aids started emerging in South Africa early in the 1900s. The growing competition between them has meant that they are more accessible to South Africans. Schemes such as Discovery Health, Momentum Health and Hosmed each offer their members highly affordable medical aid plans. Discovery Medical Aid is South Africa’s largest medical scheme. The medical plans of the leading medical aids suit low- and high income groups, individuals and families. The idea is for South Africans to compare the different health care plans and request different medical aid quotes. These medical scheme quotes don’t cost you anything and provide a lot of information. If you were looking for really affordable healthcare plans, you might be interested in the Hosmed Step option. This option applies to all the major state hospitals- and facilities. This is Hosmed Medical Scheme’s most affordable and basic cover. It also offers high risk benefits which includes coverage for chronic illnesses. It includes HIV and AIDS cover. Other schemes charge a surcharge for this. It makes sense that in economically difficult times that most members opt for this affordable plan. To enjoy Step option privileges, members need to produce a pre-authorisation slip. GEMS Medical Aid is another scheme which has an effective HIV/AIDS Disease Management Programme (DMP). With them you’ll get all the support you need to lead a healthy life. Having a family with young children and not having a medical aid plan is irresponsible. Most medical aid schemes offer tailored family healthcare packages. These plans vary from hospital plans to comprehensive medical cover packages . A medical aid plan, whether restricted or open, is one of the most important insurances you need in South Africa. Do your research well and only buy medical insurance from a long-established medical aid. There are a number of medical aid websites where you can get the cheapest but most effective quotes online. They provide comparisons on all the leading medical aid schemes. These quotes will allow you compare prices and offerings so that you can get the medical aid that suits your pocket and medical needs. Hosmed is a registered, open medical aid, offering healthcare cover for the civil service as well as those from the private sector. Hosmed Medical Aid started in 1988 as a non-profit organization so they have been around for a while. 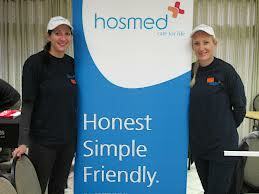 With about 34 000 members and growing, Hosmed Medical Aid Scheme offers its members 3 basic products. These products are Hosmed Step option, the Hosmed Value option and the Hosmed Plus option. It is a good idea to study each plan because they offer different levels of cover and different premiums. ● Hosmed value option – this option covers everything as in the Step Option. It also offers cover for over the counter medications, cover for mental health, sterilizaton as well as limited cover for dental- and remedial therapies. ● Hosmed plus option – this is their more comprehensive plan. It has all the cover which the other 2 plans offer, plus more. Do you always have money on you to fork out on medicines, doctors and hospital treatments? Some people have had to sell their homes to pay for rehabilitative treatment for a stroke victim. A good medical scheme like Hosmed can give you peace of mind that for any medical calamity, you’ll get quality medical attention.